There’s a Citi Card for your every need! Be rewarded as you spend. to compare credit card benefits before opting for one. Choosing the right credit card allows you to save more and also adds value to your lifestyle. 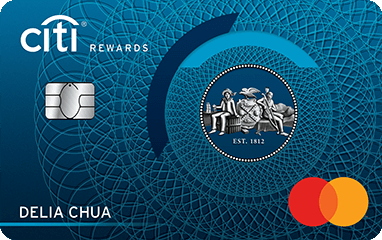 Each Citi Credit Card offers specific rewards that complement diverse spending habits. Right from shopping, dining to travel, we offer credit cards that reward all of kinds of spending. Our entire assortment of credit cards is listed below along with their features & benefits. Plus, up to 20.88% fuel savings^ at Esso & Shell. Earn 10X Rewards+ when you shop for shoes, bags and clothes at online or retail stores, or department stores, locally and overseas. *Eligible for new to Citi Credit Cardmembers only. Click here for the Citi PremierMiles Visa Acquisition Promotion Terms and Conditions. Click here for the Citi Cash Back Online Acquisition Promotion Terms and Conditions. ^Total minimum retail spend of S$888 per statement month required. 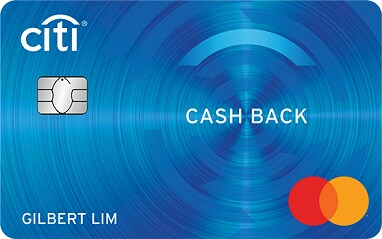 For full terms and conditions, visit www.citibank.com.sg/cashback. 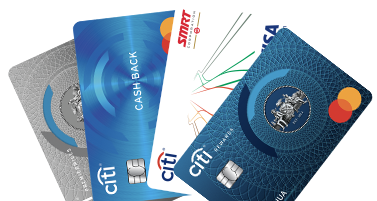 Click here for the Citi Rewards Card Acquisition Promotion Terms and Conditions. +10X Rewards is capped at 10,000 Points per statement month. After the cap is reached, continue to earn 1X Reward for every S$1 spent. Terms and conditions apply, visit www.citibank.com.sg/rewardscard for more details. 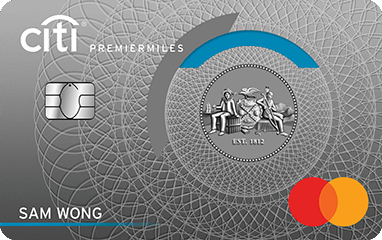 Click here for the Citi SMRT Platinum Visa Card Online Acquisition Promotion Terms and Conditions. #Terms and conditions apply, visit www.citibank.com.sg/smrt for more details.